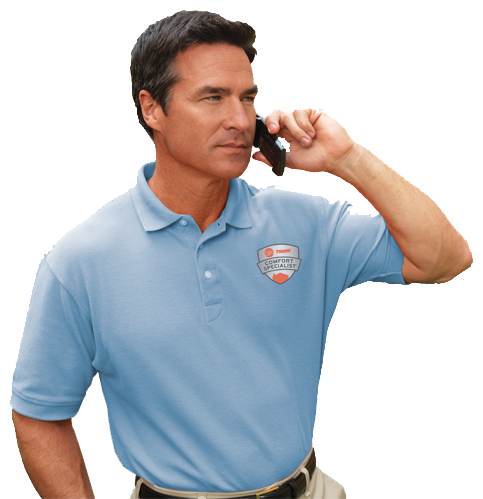 Getting to be the Jacksonville, Illinois area’s best air conditioning company begins with listening to our customers. There’s no high-pressure sales tactics or gimmicks with Leach • Remmers Heating & Air Conditioning. We give you our full attention, then provide the clear, honest information you need to make an informed choice about repairs or replacements. Company founders Jeff Leach and Gary Remmers believe in looking out for your best interests, offering suggestions and solutions to reduce energy use, increase comfort and save on cooling and heating costs. The Leach • Remmers team is dedicated to adding value to services and exceeding expectations. It’s the way we’ve built a solid reputation. It’s your assurance that we will act with fairness and respect every time. 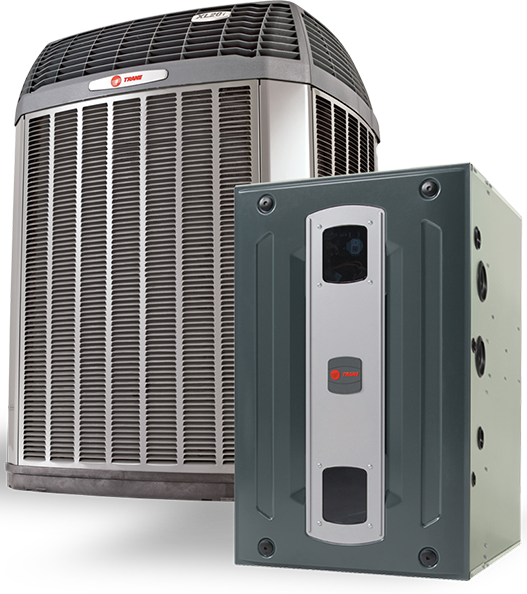 The Trane name is the most recognized, most frequently considered and most highly rated brand of residential heating and cooling equipment. In North America, homeowners buy Trane systems at a rate that averages one air conditioner sale every minute of every day. That’s a real vote of confidence! Trane’s efforts to earn your trust begin in the design labs and manufacturing sites where the equipment is created and rigorously tested. That trust is reinforced at your kitchen table to make sure the system our dealer helps you select for installation will not only meet but exceed all expectations for comfort and energy-efficiency. Choosing a Trane gives you the peace of mind of having a system that’s designed to provide consistent year-round comfort for many years. “It’s Hard To Stop A Trane” isn’t just a tagline. It’s a proven reality. WHY SHOULD YOU DEPEND on a Trane Comfort Specialist™ Dealer? TCS dealers are absolutely committed to 100% satisfaction. The TCS designation is not easy to come by… Dealers qualify for it on a yearly basis by meeting Trane’s strongest standards for professionalism and technological expertise. Trane Comfort Specialist™ dealers devote several days each year to training their technicians on the most up-to-date service and installation procedures. When it’s time to purchase a heating and air conditioning system, put your comfort in the hands of a Trane Comfort Specialist™ dealer.